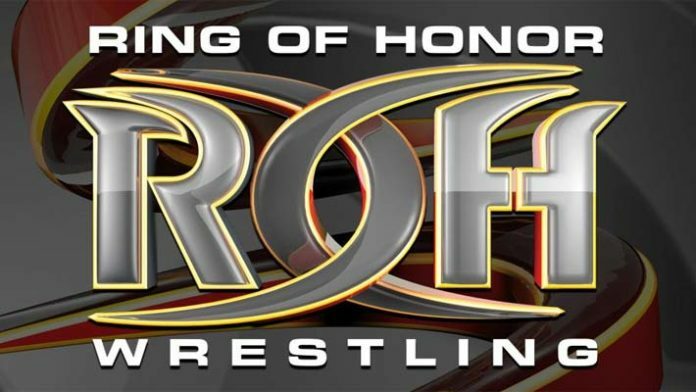 WARNING: Please be aware that the following report consists of SPOILERS from Ring of Honor’s latest TV tapings. On Friday night at ROH’s 17th Anniversary PPV, Brody King and PCO defeated The Briscoe Brothers in a Las Vegas street fight to win the ROH World Tag Team Championship. Less than 24 hours after the show, ROH TV tapings were held at the Sam’s Town Hotel And Gambling Hall in Las Vegas, Nevada. During the tapings, King and PCO tagged up with Villain Enterprise’s leader Marty Scurll to take on Kingdom’s ROH World Six-Man Tag Team Championship. The trio successfully defeated Kingdom to become the new Six-Man Tag Team Champions. The World Tag titles are Brody King and PCO’s first ROH gold, and they managed to capture their second gold in the company just a day after. The Six-Man Tag title is Scurll’s overall second championship in the promotion, with the TV Championship being his first, which he won two days after his début at the ROH Reach For The Sky event in November 2016. PCO and Brody King will be seen defending the ROH World Tag Team Titles at G1 Supercard against current IWGP Tag Team Champions Guerilla Destiny in a winner takes all tag team match. Marty Scurll, on the other hand, will have a chance to win more gold as he would take on Jay Lethal and Matt Taven in a triple-threat ladder match for the ROH World Championship.